It is widely known that consumption of alcohol and depression are linked, but the discussion of said link often turns into a “chicken or egg” debate. Does alcohol cause depression or are depressed people more prone to drinking alcohol? The reality is that both statements are true. You are drinking because you are depressed, and you get depressed because you are drinking. In fact, alcohol tends to worsen symptoms in people who suffer from depression. Understanding this perpetual cycle can help people suffering from depression by not turning to alcohol upon signs of depressive symptoms. Depression, also referred to as major depressive disorder, is considered a medical condition. It is characterised by constant feelings of sadness and a lack of motivation over a prolonged period of time. After a while, depression interferes with a person’s ability to function normally in day-to-day life. Depression is quite common. It is estimated that 1 in 15 adults suffer from depression at any given time, and 1 in 6 people will deal with depression at some point in their life. It is also treatable. There are a number of reasons for depression including difficult life circumstances, environmental factors, genetics, changes in brain biochemistry, side-effects of medicines, and medical conditions. People suffering from addiction, or general drug or alcohol misuse, have some of the highest rates of depression. About 30-50% of people who abuse alcohol have depression or depressive symptoms. Likewise, about a third of people with severe depression also have an alcohol abuse problem. 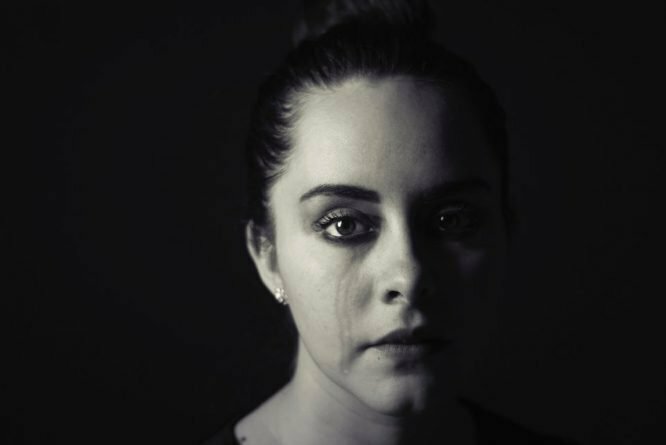 Young adults and women with depression are twice as likely to drink (and drink excessively) than those without depression. Alcohol clearly has an important role to play here- so just what is it about alcohol that triggers depression and vice versa? It is important to understand why people drink. For some, it’s a way of celebrating and for some a daily drink with dinner is just part of their routine. For others, it’s a method of self-medication. Some people drink to decrease anxiety and increase sociability, some drink because they’re bored, some to release stress or calm down, and some to alleviate their negative emotions. For most people, alcohol makes them feel good. In reasonable amounts, alcohol appears to elevate their mood and helps them relax. However, in larger amounts, or if used over a prolonged period, alcohol has quite the opposite effect. You may have heard that alcohol is a depressant. This confuses many people because they do not associate alcohol with depression. “No way! Champagne makes me feel happy!” In truth, the term “depressant” has nothing to do with depression, and is simply a scientific term referring to the effect a drug has on the body. Anything that slows down body functions, such as brain activity, metabolism or breathing, is classified as a depressant. It is the opposite of a stimulant, which increases brain and body functions, and makes one feel more alert and awake. Actually, alcohol produces both stimulating and depressant effects on the human body. You may notice that when you start drinking, and drink small amounts, that you feel more energetic and in a better mood. However, after a few drinks, you start to feel tired, and have trouble concentrating. Alcohol raises feel-good neurotransmitters, such as GABA, serotonin and norepinephrine. If a person is constantly drinking, they are experiencing an artificial boost of happy hormones, and with time, begin to think that this is the new norm. When they stop drinking, they will feel worse than ever before. This is why depression is a withdrawal symptom for both alcohol and drugs, and why people in early periods of sobriety tend to get depressed. Unfortunately, with prolonged use, a person can experience depression as part of post-acute withdrawal symptoms, and these can last for months or years after becoming abstinent from alcohol or drugs. Folate deficiency is also known to influence depression, and alcohol abuse, or alcohol-induced liver disease, tend to lower a person’s folate levels. We’ve all heard about different drunk personality types, such as the “happy drunk” or the “angry drunk”. Everyone reacts differently to alcohol, and it can be explained by biofeedback. For example, if you see something that scares you, your heart rate elevates, your stress hormones activate for “fight-or-flight” mode, and that tells your brain that you’re in danger, so you can react appropriately. Similarly, if your heart rate is elevated for any reason, your brain will automatically think that you’re in danger, even if there are no stimuli to support it. This explains why some people turn into “angry drunks” after downing a few. Alcohol tends to elevate heart rate, which people associate with being in danger, and hence they may react in a hostile manner even in mild situations. Likewise, alcohol in more-than-moderate amounts tends to mimic symptoms of depression – lethargy, inability to focus/concentrate, poor sleep… etc. If we feel these “symptoms”, we may associate it with a depressive episode. Hangovers do little for our wellbeing, except remind us not to overdo it next time. Constantly drinking can also make people feel lethargic and less motivated to take care of themselves – for example, eat well and exercise. Chronic alcohol use can also lead to a number of health issues, both mental and physical. Being in poor health, be it for short-term or long-term, can fuel depressive symptoms. Because alcohol, not to mention hangovers, tends to make us feel lethargic and a little too relaxed, it can interfere with our productivity. Feeling accomplished is one way to boost one’s spirits, while constantly falling behind on to-dos can lessen our self-esteem, worsen our lifestyle, and lead to depression. Alcohol may also cause us to behave badly at times, which can affect our self-esteem negatively. While money does not equal happiness, financial trouble does contribute to depression. Excessive alcohol consumption isn’t easily affordable for most people. This can take a toll on one’s lifestyle and self-care, as they may end up reducing spending on other categories of their budget, such as healthy eating, to balance their going-out costs. Similarly, if a person’s drinking takes away from their work productivity, they may end up earning less money, or worse, losing their job, which can lead to financial hardship, and trigger depression. Drug and alcohol abuse, or addiction, tends to tear relationships apart, be they family or friends. Maybe you tend to lash out or behave badly when you drink, or maybe your drinking indirectly affects your loved ones. 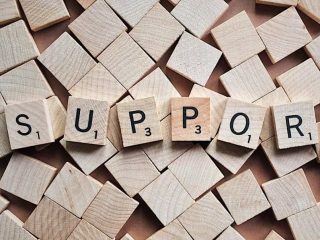 When it comes to depression, having a strong support system is one of the key factors that can help overcome it. This, of course, cannot happen if one loses friends, gets a divorce, or ruins family relationships. There are numerous reasons why alcohol should not be mixed with medication, and this is especially true with antidepressants. The combination of the two is known to produce dangerous side-effects. Aside from this, however, is the fact that alcohol tends to make most antidepressants less effective. People who drink along with their antidepressant medication are likely to experience an increase in depressive symptoms. 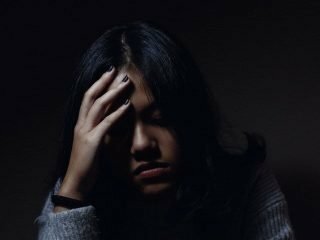 Based on these direct and indirect ties between alcohol and depression, it is easier to understand why when people are treated for alcohol or drug addiction, they should also be treated for any comorbid psychological issues (also known as dual-diagnosis), such as depression, PTSD or anxiety. When it comes to addiction or substance/alcohol abuse treatment for people with a dual-diagnosis, many professionals recommend a residential rehab centre that specialises in co-occurring psychological problems, such as Castle Craig, because of the complex situation. Because a residential rehab is more intense, the person can be treated for both their addiction to alcohol and depression at the same time. Many people suffering from depression say they felt much better after just a few weeks of alcohol abstinence. 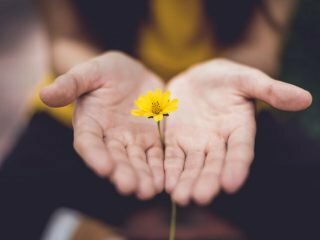 They report having a much better mood, and also mention that their newfound sobriety improved their relationships, which served as positive reinforcement. Addressing any addiction without treating the underlying cause, is only a short-term solution. Treating excessive drinking just by addressing the alcohol abuse and ignoring depression is unlikely to produce long-term sobriety. By focusing on treating both, you give yourself the best chance of a successful recovery.